Originally from Mexico, Melania Guzman came to the University of Melbourne to do her Masters in Human Resource Management. She fell in love with the city, met her husband and is now Group Learning Manager at L’Oréal. Here Melania shares her journey from Mexico to Melbourne, from KPMG to the beauty industry, and tells us why she is passionate about giving back to the University, as a Sessional Lecturer and a host of students through the Melbourne Business Practicum. When I moved here nearly 10 years ago, Melbourne just felt like home straight away. Before coming to Australia, I worked for the Mexican Government for five years in a learning and development role. I enjoyed every aspect of delivering training, so I wanted to further my studies in the field of Human Resources. The University of Melbourne is a world-renowned university, and I was awarded with a full scholarship from the University to study here - so it was a no-brainer, I had to come! Before coming to Melbourne, I studied in four other countries. I was in the United States for a year, in the United Kingdom for another year, in Spain for four months and of course in Mexico. 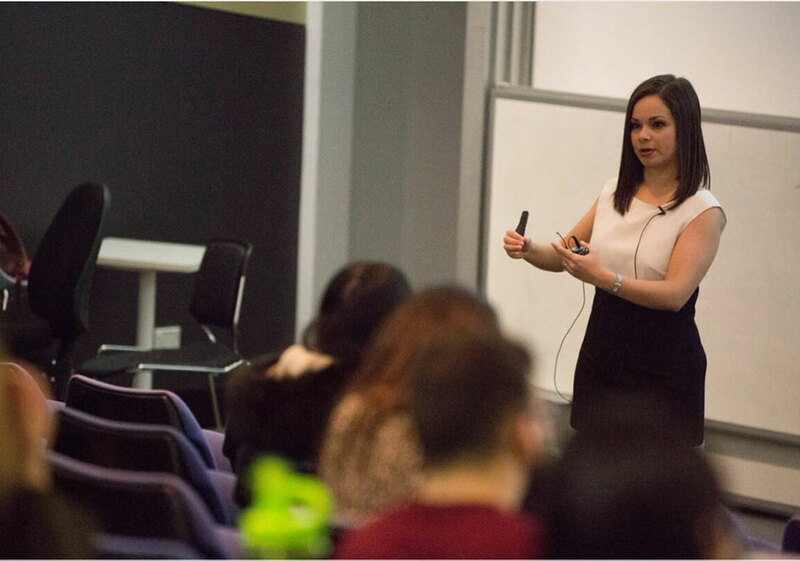 Melania Guzman delivering a lecture at the University of Melbourne. Australia was going to be one last stop and then I met my husband on my second day here, and we now have two boys aged two and three. I remember thinking how much easier it was to adjust to life in Australia compared with my experiences having studied in other countries. My Master’s program was amazing! I have been the Group Learning Manager for L’Oréal Australia and New Zealand for almost two years. My key responsibility is to deliver the learning agenda for both Australia and New Zealand, and make sure our employees have the learning and development they need to deliver their jobs effectively; and give them the skills required to enhance their careers. I am proud to have designed and delivered the L’Oréal Learning Week, a new initiative I created which has been deployed in Australia, New Zealand and is now being rolled out in some countries in Asia Pacific and in the UK. One of the many things I love about working at L’Oréal is the fast-paced, dynamic nature of the business. It is a very creative environment where you are encouraged to take risks and ‘run towards the edge’ . It is an environment where it is safe to make mistakes. My career in Australia started at the University of Melbourne, where I worked for two years firstly as a Human Resources Officer and then as a Careers Consultant. After that I moved to KPMG, where I worked in different learning and development roles for almost five years, including Acting Head of Learning and Development for the Advisory Division. KPMG was a very structured and lean corporate environment. When I started at L’Oréal I expected the same, but I remember turning up to my first day at work wearing a suit, and then realising that I was somewhat overdressed. In the beauty industry the dress code is very fashionable – not corporate. At L’Oréal the dress code is to wear whatever makes you feel beautiful, so you are encouraged to dress however you like. You bring your personality and authenticity to work and literally wear whatever makes you feel beautiful. As well as my job at L’Oréal, I have been a sessional lecturer at the University of Melbourne since 2010, teaching in the Masters of Management. I have taught Organisational Behaviour, Career Management, Strategic Human Resources, and Managing People. My work at L’Oréal and the University really complement each other. I have also delivered targeted skills workshops focussing on career readiness, as part of the Faculty’s Student Employability Program. I feel that students value the work stories I bring to the class and the linkages with the theory that we discuss during the lecture. I also value their diversity of thought and the richness of the discussions we have in class. At L’Oréal, I have hosted four cohorts of students through the Melbourne Business Practicum. I understand the importance of providing Australian work experience to students as this is critical to increase their employability skills. As such, I have engaged four different student cohorts to deliver work for L’Oréal in a Human Resources Consulting Project. Our experience hosting students has been amazing. It has given us an external perspective to issues we are not able to see when we are embedded into the work culture. The students come as a multidisciplinary team of consultants - they analyse data, review the issues presented to them and provide recommendations with an external perspective. With the Melbourne Business Practicum, I found a lot of value as an employer, but I also understand the value this experience has from the student’s perspective. After I completed my Masters and was applying for jobs, I realised employers required Australian work experience that I didn’t have. Most of my work experience was in Mexico and I now understand the reasons employers may not have considered my international work experience relevant. I applied to 67 jobs until I landed my first role at the University of Melbourne. The Melbourne Business Practicum provides the Australian work experience that employers value and that I can imagine makes the students transition into the workforce from university easier. This is another reason why I host students – not only do they help me and the organisation I work for, but I feel that I can make a difference as to how they begin or continue their careers after graduation. 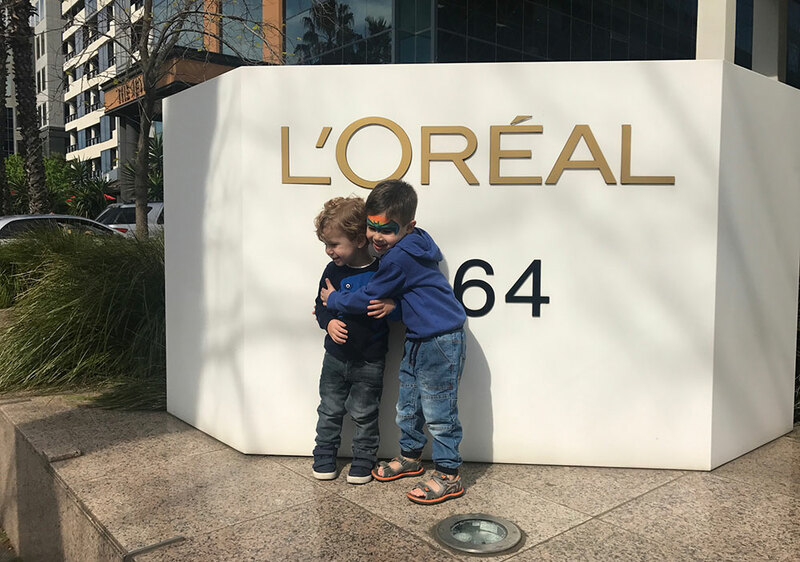 Melania Guzman's children Christopher Korakis (two) and Alexander Korakis (three) at the Loreal 'bring your children to work day'.